I read this article and found it very interesting, thought it might be something for you. 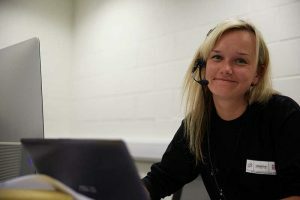 The article is called Our Students and is located at https://www.eventmanagementhub.com/our-students/. Our core business is Undergraduate and Postgraduate students and the main reason we developed the Event Management Hub was to cultivate really close relationships with organisations and professionals in the events industry so as to benefit our students. We are therefore very keen to identify opportunities for students to gain real experience of the industry. This is not only good for them and their employability, but also great for you as it provides much needed labour and new creativity and ideas. Of course, six month-one year student placements are very attractive but we recognise that there are so many much more casual and flexible ways that you might benefit from engaging students. 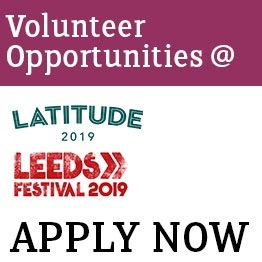 We have hundreds of students each year volunteering on an unpaid basis for an evening, a day, a week or more and we can easily facilitate this by advertising to our students and even working with you on the wording of your advert to them. We also have students that work on a day a week basis with organisations or even work remotely to support with certain aspects of your business, for example research, social media and promotion. In other instances, student teams, within their taught modules, work on a consultancy basis on certain projects for towns, cities, charities, and other, even businesses. Student experience is vitally important to what we do so please talk to us about opportunities you foresee, even if you cannot see exactly how students could become involved. This work experience benefits both the student and the companies, many of whom give us positive feedback and who repeatedly take on Sheffield Hallam University students. If you think you would be interested in advertising an opportunity with us or would just like to have a chat and gain some more information, please contact Charlotte Rowley who would be delighted to hear from you. Contact her by Email: C.Rowley@shu.ac.uk or Telephone: 0114 225 3152. Investigate and critically evaluate the value of events in the achievement of organisations policies and strategies. A case study of Glasgow City Council. 1. What was your topic and why did this stimulate you? I chose to research how Glasgow City Council has used events to achieve policy and strategy objectives. I decided to look at the public sector and in particular a local authority as I found it interesting how important events can be as a catalyst for regeneration and as an opportunity to bring economic, social and cultural change to a destination. Recently, the London 2012 Olympic Games have been particularly demonstrative of this with the regeneration of the Lower Lea Valley. I chose to study Glasgow as the city is hosting the 2014 Commonwealth Games and the City Council’s plans for the event interested me following the apparent success of London 2012. 2. What particular ideas and concepts did you find that helped you make sense of your research area? When researching the topic area I found that there are countless examples of destinations worldwide that have used events to benefit the area economically and socially, whilst also helping to change the reputation and image of the city or country, including Germany, Barcelona, Liverpool and Manchester. Through research I found that Glasgow has used events to achieve objectives for a number of years, realising the benefits that an event led strategy can bring much earlier than many other cities. This then impacted the focus of my essay as I chose to evaluate the timeline of the events that the city has held. 3. What are the main things you learned about your topic area and what would be interesting for future students to investigate? One of the main things that I learned was how important it is to learn lessons from other cities and build on their event experiences. Through comparison with other cities I found that Glasgow was not only able to learn from itself with each new event it held, but that it also learnt from other cities that had held similar events, and similarly that other cities learnt from the experiences of Glasgow. I also found that one of the most important indicators of a successful event is how the legacy is managed long-term. I think that focusing on the importance of learning from past practice and positive and negative event experiences would be an interesting topic area for future students. 4. What advice would you offer to future students completing this module / assignment? My advice would be firstly to choose an organisation that interests you. Look at some examples of organisations from the private, public and third sectors. It wasn’t until I had read some examples of how cities can use events that I began to find it really interesting, and it makes such a difference reading and writing about a topic that interests you. I ended up changing my final year project to look at local authorities too. For this assignment it is also important to compare with other organisations, so reading around the topic is key. Investigate and critically evaluate the value of events in the achievement of Diageo’s strategic objectives and policies: A case study of the Smirnoff brand. I chose to investigate how Diageo Plc. utilize events, and in particular experiential events in order to achieve their strategic objectives such as ‘growth through innovation’. I chose an organisation within the private sector, and one which held appeal on a worldwide scale as I found it interesting to investigate the level of impact events can have on the brands global reputation and developments. Although experiential marketing events are now used by many organisations, Smirnoff could be seen as one of the main leaders in this field and therefore hold an extensive amount of amazing events I could investigate within my work. When researching this area I found that the main focus of these types of experiential events was to actively engage with the consumer to create a brand attachment and provide a high level of consumer experience. Further research into Diageo and the Smirnoff brand showed that they had developed competitive advantage through interactive events such as the Smirnoff Nightlife Exchange Project. My essay then developed into analysing future strategic campaigns Smirnoff would be using such as #YoursForTheMaking, Smirnoff SlumberFest, and Smirnoff PaintFest and assessing their strategic gain. One of the main things I learnt was the importance of providing a unique experience and delivering an individual, innovative event. The success of Smirnoff’s brand has revolved around delivering an experience attendees cannot gain anywhere else, as well as communicating with consumers on event decisions; this ensures they connect with their audience. I think focusing on the level of communication with consumers, as well as the emotional attachment created to the brand would be an interesting area of study. My advice would be to choose a topic or company which you are genuinely interested in – don’t feel it’s easier to focus on the organisations covered in the lectures and seminars. Pick an organisation you would love to work for and use them – that’s what I did, if anything it keeps you motivated! There is a lot of useful information and discussion in the seminars, and I think using that as a base to create an individual assignment keeps it interesting. I also found focusing this assignment on the private sector helped me in the exam as I had a good comparison of case studies I could use covering various sectors. Within this piece of writing, the topic area I chose to research was EventScotland (the national events agency derived from Visit Scotland), and how they used events to deliver their strategy of achieving ‘The Perfect Stage for Events’. This topic really stimulated me as I knew it was something I was going to enjoy researching into. Event Scotland host a range of sporting and interactive events which interest me as a individual and what I knew would be an interesting read due to their future events coming up (Commonweath games!) and masses of publicity at the current time of writing the piece of work. The lectures and seminars were really usefull and beneficial for when writing this piece of work, a lot of emphasis was put upon Scotland and various information focusing on Glasgow which gave me a great backbone for the writing. As mentioned above, there was a lot of information and publicity in newspapers and online about Scotland and its current/future events which allowed me to gain plentiful information on the area which I think was a major aspect for this piece of work. The EventScotland website was great in terms of gathering information – and also the applied reading had a lot of ideas on public sector organisations which was great. I learnt a lot about how events implement different strategies to achieve certain goals and objectives. I also learnt how events are not just about the customer experience, but also they are about achieving all their stakeholder needs, wants and objectives, and without input from governments and other sectors – some events wouldn’t even happen as event organisations (such as EventScotland) rely purely on external and government funding. Scotland has a vast amount of sectors and topics to investigate and what I would highly recommend to future students to look into for great case studies. I would definitely start this project by picking an event/organisation which has plentiful and accessible information on. I would start by researching what has a lot of information to which you can use and develop within your work. I would then recommend using your chosen organisation/event and comparing it against others. This will allow you to critically analyse and evaluate well. Finally, I would start early and keep an excel chart of references and quotes you find during reading, to which you can easily access and put into your work as and when needed – a time saver also! Investigate and Critically Evaluate the Value of Events in the Achievement of Organisations Policies and Strategies. A Case Study of Liverpool and the European Capital of Culture 2008. I chose this topic as I had completed my placement year at a Local Authority in a smaller city and found it interesting how Liverpool had successfully used the ECOC to regenerate large parts of the city. The event was a huge catalyst for change within Liverpool and I visited the city, which then gave me a better insight into how beneficial the event had been. There are so many examples of other cities using events as a regeneration tools and it was interesting to see what Liverpool used to change the city. As a result of winning the ECOC 2008, initiatives were created such as the Liverpool Vision, the city centre regeneration and the redevelopment of the docks. This moved cultural policy to the forefront of the agenda and appealed to policy makers in the hope it would have the “Glasgow Effect” in which by using culture policies would aid the reversal of economic decline and unemployment. By understanding the political agenda behind the reason for the event, it helped me understand the structure of its organisation and execution. The topic taught me that it is important to look at other cities as examples so that you can accurately compare and contrast them. It was interesting to see what Liverpool had learnt from other unsuccessful cities to ensure a successful event and that events are deemed successful on what long term legacy they are deemed to have. I learnt to do a lot of reading about other cities too. It makes it so much easier to compare other cities to give a better understanding of your topic. Understanding the legacy and the reason for the event is paramount to give a full picture but also research the arguments against the event to then make a full evaluation. Chose something you find interesting, there is nothing worse than writing about something you can’t identify with. By knowing what your strengths are will help you, if you can see a link with your placement then that can makes things easier too. Investigate and critically evaluate the value of events in the achievement of The Stroke Associations Policies and Strategies. I chose to research the way the third sector; the not for profit sector use events to achieve both their short term and long term strategies and gain competitive advantage which is increasing in importance in the current economic downturn. I particularly focused on The Stroke Association as I had previously volunteered with the charity working on both events and social media projects. The organisation are the UK’s leading stroke charity and I had had first-hand experience of their amazing work however they do often get over looked by bigger charities dominating the market therefore I wanted to analyse and evaluate how they use regional events and could use national events to help achieve their objectives. When researching the third sector and comparing it to other sectors, it was evident that the use of events were implemented to achieve a number of objectives, not just a sole objective. For example, raising awareness, educating and informing and researching for the future. compared with a private company where some events are mainly driven by profit and brand image. Further evidence highlights that The Stroke Association placed more emphasis on regional events rather than national events to create a personal feel of involvement. Whilst studying this topic I learnt how important events are in achieving strategic objectives and that much emphasis is placed on customer experience and events holding a long lasting memory with the consumer. I also learnt that events are increasing more and more in innovation and one of the reasons for this is the increase in the marketing budget spent. For example The Stroke association spend 30% of their marketing budget on events and it is evident that they achieve more in the long term by taking this approach as they have raised more money through events than personal donations. I would suggest that students should not just compare organisations within the same sector but contrast these with organisations from different sectors and analyse and evaluate the different strategic objectives needed to be achieved through the use of events and which could be considered more important. Firstly I can’t over emphasise how important it is to choose not only an organisation but a sector your interested in. I would recommend an organisation where the background information needed is easily accessible. Once a good understanding is achieved, compare it with other organisations and analyse how it fits in the market alongside the others. By doing this, questions will surface giving you an in-depth discussion for your assignment and allowing you to earn the higher marks by critically evaluating. I looked at how two leading brands within the UK drinks market use events to achieve their marketing strategy. It stimulated me as before beginning the events, policy and planning module I had never properly thought about the real reasons companies stake so much investment in live experiences. As I looked more and more into experiential marketing theory, I found myself realising the key motivations behind almost every campaign that I read or heard about; this part was particularly fascinating. Emma Wood’s paper titled ‘Evaluating Event Marketing: Experience or Outcome?’ provided a great foundation for me to work from. She helps to define the different categories of event which practitioners are executing, along with their various roles in the marketing process. This enriched the depth of my research, as the paper opened me to new ideas which I had never considered to be relevant within this specific topic area. I’d strongly recommend it to any student looking to study the private sector for their assignment. In addition, Phil Crowther’s ‘marketing space’ concept was equally valuable, since this creatively identifies a core justification for the increasing number of brands looking to adopt the experiential approach. The employment of events within private sector marketing strategies is set to be something of the future. Consumption has changed rapidly, and this is the action which will cater to the consumer’s needs no matter what their demographic. It would be interesting for future students to investigate just how many businesses (both big and small) are aware of experiential marketing and the impact it can have upon a brand. Read, read, and read some more! I can honestly not stress this enough. Once you’ve fully understood the theory, applying it to case studies can really be a captivating experience. Also, for the assignment, ensure that you pick the sector that is of interest to you (not the one that you feel would be most simple). I’ve always had a passion for the commercial world, so investigating the work of Red Bull and Coca Cola was not only enjoyable, but has additionally given me knowledge that will be utilised in my future career. Through focusing on social policies and strategies that are implemented as a direct result of events, I undertook a case study on the Liverpool European Capital of Culture 2008. The European Capital of Culture initiative has had varying degrees of success over the years and I wanted to explore how successful Liverpool had been at using this title as a means of delivering real change to the communities within Liverpool and the Merseyside area. On further inspection it became apparent that Liverpool had implemented event-led strategies to generate wider social, cultural and economic benefits; this allowed me to compare Liverpool with other European Capitals of Culture who had used similar strategies, in particularly Glasgow, which held the title in 1990. Wood’s (2009) concept of 7 elements that enrich the event experience was easily transferred to Liverpool, as the organisers ensured all 7 elements were covered through encouraging cultural participation and producing a creative event portfolio. Urban regeneration made a huge impact on Liverpool, and was the most obvious social benefit for the city due to its physical presence; however, underlying this impact was the improvement of the destination’s image, which has attracted investment to the city that will lead to a lasting legacy. In the future it would be interesting to study whether a lasting legacy has been created and how successful it is, and whether the strategies applied during Liverpool European Capital of Culture are being used as models for upcoming events. It is important to decide what sector interests you at an early stage – I have always been interested in the public sector and the challenges it faces. Once you have decided on a sector that you are passionate about the next step is to ensure you choose a case study that has a wealth of research behind it, not only will it make the assignment a lot easier but it will also be a lot more interesting as you keep discovering valuable material. How social media has affected the corporate and charity sectors marketing communications before, during, and after an event. The topic of the project was based around social media and how it has changed the corporate and charity sectors marketing communications before, during, and after an event. I chose to research social media because I feel that social media has not only revolutionised the way in which the world communicates with each other, but it is now making a significant impact on the business world in how organisations interact and build a relationship with their customers, suggesting social media will only keep growing. I decided to focus particularly on the charity and corporate sector as the two differ in their values and goals, therefore I found it interesting to compare the two to see if the sectors use social media differently and which one has embedded social media into their marketing communications the most effectively. Whilst researching the topic area, I found that both sectors used social media to communicate with their customers in a similar way, however the major difference came down to revenue as the corporate sector were able to invest more into using social media, therefore making the sector able to measure the impact of social media more efficiently. The charity sector still used similar tools to interact with their customers, although because of the low budget they could not spend significant amounts of time on using social media in the same planned way as the corporate sector, this then allowed a good comparison for the project. From the research carried out the main lesson I learnt was the importance of the quality of content being used to interact with customers, and ensuring that all content is continually refreshed to prevent repetition resulting in boredom for the customers. Additionally, I found out that overall the corporate sector utilise social media in a more effective way then the charity sector due to the access to financial funds, and the ability to effectively measure the impact of social media on their customers. I think future students should focus on researching into larger companies compared to the smaller companies (as I did) because they have received more training in using social media effectively. My advise would be to choose a large organisation who interests you and who are deeply involved with social media because then you will be able to receive in depth answers to your research questions. It wasn’t until I had the interviews where my research questions were limited due to the organisations knowledge and understanding of social media when used within marketing communications. For the overall module, make sure you choose a topic you are very interested in as you will be reading it countless times, however it will be all worth it! I chose to research China’s MICE industry and the change taking place in the delivery of business events’ programmes (content and technology) to interact with audiences. I found it interesting how China’s MICE industry has experienced rapid development, corresponding with the boom of the country’s economy over the past decades. In 2011, China was the world’s eighth country to host the conference and meetings. As a result of this rapid development, I chose to research if China’s MICE industry had significant changes in business events’ programmes and professional services, based on the case study– the 2013 Beijing Book Fair. 2. In your literature review what particular ideas and concepts did you find that helped you make sense of your research area? The purpose of the research is evaluating the change taking place in the delivery of business events’ programmes (content and technology) to interact with audiences. I needed to focus on both organisers and delegates. Therefore, I found useful information based on the current trends of the business event’s programme provided by professional organisations. Moreover, several articles about how to design and improve business events helped me to discuss how the business event programmes respond to the different audience requirements and needs to improve delegates’ satisfaction and event quality. 3. What were the interesting findings you gained from your primary research? One of the most interesting findings of my research is that organisers hoped to deliver the Book Fair more sustainably in the future. As a popular trend, sustainable development is more and more important around the globe. In fact, China’s MICE industry started paying attention on how to deliver events more sustainably in recent years. It will be a new and significant trend for China developing the meeting and exhibition industry. In turn, it would be a new major area for research in the future. 4. What are the main things you learned about your topic area and what would be interesting for future project students to investigate? In my report, both organisers and delegates believed that social activities and an interaction programme can improve an event’s quality and satisfaction. In addition, creative contents and high technology prove smarter and effective, which can also reduce the cost and time of the event and enable the event’s successful. Likewise, as a new and interesting finding, how to deliver events much more sustainably would be a new major area for research in the future. 5. What advice would you offer to future students completing their project? My advice would be firstly choosing which type events that interest you. Likewise, look for examples of significant events and organisations in the real world, and have an initial mind map about your idea. Then, you need to research a huge amount of articles and data about your topic, and think about if there are enough literatures to support your work or not. In fact, it is really hard for everyone, since you need to decide which information you will actually use in your project. Finally, it is also important to decide how to collect the data to ensure your project’s accuracy and authenticity. Generation X/Y and marketing professionals’ perception of the experiential marketing in product launches. My research had examined different generations’ attitude towards experiential marketing in product launches. It also took a closer look into marketing professionals’ perceptions towards experiential marketing and the most appropriate marketing tools to reach these generations. I was always interested in experiential marketing and therefore it was a simple decision to carry out research in this area. I have noticed that it is becoming the most dominant marketing technique in the industry, and it was interesting to see how appealing it is for different generations. The main idea of the research was to examine experiential marketing, generation X and Y and the product launches. Therefore, I have split the research into four parts (gen Y and X separately). After that, it was easier to compare all three elements and compare and contrast them throughout my literature review. Although I was fortunate as there was a lot of information on these topics, the difficulty was to manage all this information. Therefore, it was better to focus on separate parts and then join them together. This was the concept that helped me to write the literature review. The most interesting finding from the research was that generation X showed more positive opinions towards social media as part of marketing campaign than the generation Y. This finding had contradicted the literature and the marketing professionals’ opinion of what is the most appropriate way of attracting attention of generation Y. Marketers seemed to heavily rely on the perception that the most effective way of attracting attention of generation Y is social media, while the research showed that this generation do not feel positive about social media that are used for marketing purpose. Also, although the literature revealed that these generations have distinctive differences, similarities were also found in the primary research. I have learnt that marketing is heavily affected by global changes. Due to these changes, marketing shifted from informational content to experiential, which is believed to reach nowadays customers better than any other campaign. Also, I found out that generation X in general are more practical and stable in their life, while generation Y are more interactive and just want to live their life in full. These differences have an impact on marketing campaigns that are being used to reach them both. For the future students I would offer to investigate how different generations react to social media that are used for marketing purpose. I do believe that this is an interesting area that might reveal unexpected results. I would advice to choose a topic that you are really interested in, as you will need to read about it a lot. Also, analyzing data might be much more difficult if you are not interested in what you will find out. Other than that I guess I would offer to get it done as soon as possible, as getting your questionnaires or interviews collected might take much longer than you think. Even after you have your data, you should consider that it takes quite a bit of time to analyse, make sense of it and compare it with literature. What are the motivational factors that inspire volunteers to work at mega events? The topic of the project was based around volunteers working at mega events and what motivates those individuals to do so. I chose to research the motivation of volunteers because I have had previous experience volunteering at events and I was curious to research whether all volunteers are motivated by the same factors. During my project work I decided to focus on the 2012 Olympic Games due to myself being a volunteer (Games Maker) and because it was recent mega event that attracted 70,000 volunteers. Due to the number of volunteers growing I wanted to gather an understanding on what factors motivate individuals to volunteer in today’s society. The purpose of the project was to observe what motivates volunteers to work at mega events, therefore I found it easier to separate the literature review into three sections; Mega Events, Volunteers and Motivation, I was fortunate because each section had lots of relevant information on each topic, this made it a lot easier to write about each subject. Once I had carried out the research about each section it made the aim of my project easier to understand. I found that separating the literature review into different sections was a useful concept to use. The most interesting finding from the research was that there are numerous factors that could motivate a volunteer, however most of the research argued that the majority of volunteers are intrinsic motivated, meaning that people are only volunteering to benefit themselves. Another interesting point was that some academics believe that students only volunteer to enhance CV’s and to gain employment opportunities rather than just for the sake of helping others. I have learnt that there are many different motivational factors on why people volunteer at mega events however the majority of people that volunteer are only volunteering to benefit themselves. I also found that the people who are less likely to volunteer are those who are unemployed which was a surprise for me because I thought that the unemployed would take up the majority of voluntary positions. Throughout this project I also came to the understanding of how much mega events rely on volunteers and how much those individuals contribute and how they have become an important part of mega events. I believe this area was an interesting section to study, which has the potential to reveal so much more on why the unemployed don’t volunteer as much as the employed, this could create an interesting point of study. I think it is important to study a topic you are interested in and before starting the project it is important to make sure there is plenty of primary research in order to gather a deep understanding of the topic. I also believe it is helpful to draw up your own project timeline and not fall behind on the work. I decided to choose a topic surrounding the most recent Olympic Games in London 2012 looking at the social impacts on the local communities through investigating the initiative of Transform London 2012. There were many controversial debates over the impacts the event had on the communities, which are commonly associated with mega events. Therefore I chose this topic out of interest to generate new research around the success of the event as London 2012 was so recent limited research literature had been completed. A particular focus of the literature review was the deprivation and history of poverty in the East London area which was chosen for redevelopment. This made light of a significant reason why London won the bid for the 2012 Olympics from their extensive regeneration plans for the host city. When looking at mega events, a key concept is the legacy plans they have for the future determining the overall success of the event. This social legacy was therefore explored, along with key concept of community involvement and engagement through positive and negative examples. The literature review also touched upon the notoriously difficult issue of measuring the social success of the events. An interesting outcome from the primary research was the overall positive perspective members of the community had on the Olympics despite the negative attention in the media. It was viewed that many of the residents were anxious about the Olympics coming to their city, however the research portrays the increase in community cohesion through many projects based on the regeneration of derelict sites into useable community spaces. The research also found a significant outcome to be a focus on the sustainability of the projects centred on the Olympics Initiatives. This research therefore provided evidence for one of the main objectives of London 2012 as “The Legacy Games” success. A main concept that arose throughout this project was the importance of looking at the social impacts for mega events, as evidence provided through different examples of the Olympics portrayed that when it was overlooked, they faced a number of issues. Due to the recent nature of the project subject, it will be interesting for future students to investigate the success of the event in the years to come, as the outcomes may change. Given more time and exploratory means, a wider sample size would also provide more varied and realistic results, as most of the primary research came from key members of the London 2012 initiatives therefore could be argued slightly biased. I found that it is vital to choose a topic that you are already interested in, as I originally proposed a project topic in a different subject area and quickly lost interest and therefore motivation to work on it. I ended up choosing something I found a lot more interesting, and therefore enjoyed carrying out the research and found it a lot easier to work on. I would also suggest making the most of your project tutor and your course lecturers as they provided great support and help through the project module. Can the damaged reputation of G4S be improved by building the brand back up using recruitment? My topic covered a variety of areas but was based around the large amount of negative media attention G4S received following the staff shortage at the London 2012 Olympic Games. As a G4S employee with a desire but no opportunity to work at the games, I suspected that all the stories in the news regarding the companys’ failings were not entirely true. For this reason, I was motivated to find out what had caused the situation, who else may have been involved and how the company could go about recovering from all the negative publicity. Concepts such as PR, media relations, crisis communications, branding and recruitment were categorised and researched separately in order to make sense of my research area. I also used a considerable amount of media articles and news programmes in order to make sure I had a clear understanding of how the staff shortage had been portrayed to the public. This method enabled me to compile a discourse analysis to add to my research which was an essential complimentary element to support my projects validity. If I were to undertake a similar project again, I would focus my reading more carefully as it is easy to read too much which can hinder rather than help. Findings from my primary research contrasted quite drastically with the information available in the press to the general public which was something I had expected. My primary research indicated that G4S employees, past and present, had mainly positive experiences with the company and only 18% of students who visited the G4S recruitment stand stated they had a negative impression of the company due to the negative media attention. It is also interesting to see predictions generated by this project becoming reality which is both satisfying (from an academic perspective) and disheartening (as an employee). Much of the academic literature surrounding my topic area is very much focussed on products rather than services but this is not a factor that is as limiting as it appears, learning to apply literature is a useful skill. The main learning point I have taken from this project is don’t believe everything you read, read between the lines, research something you’ve taken at face value further and see how it changes what appeared to be a fact. Personally, I would find a future project based around how the media affects public perceptions an interesting read. Base your project around something that interests you and you can find a lot of information about. Read strategically and make sure you’re not wasting time looking at sources that are irrelevant. Look at the current body of literature, make sure the project you are undertaking can add to this or fill in a gap. Once you have a clear concept, conduct your primary research as soon as possible. Be realistic, try and accomplish something smaller excellently rather than trying to conquer the world. Take pride in what you are putting together as this is a useful piece of work of your own making that can show what you are capable of. Events ignite numerous impacts on culture, the economy and the environment, but it is their impact upon society that most interests me. I decided to explore the relationship between events and destination image, civic pride, strategies, traditions and the disruption of a place. Impacts can have differing effects on different communities, depending on how the impact is perceived, I therefore decided to undertake a case study on the communities within the Staffordshire Moorlands. When researching material for my literature review it immediately became apparent that even though the industry is striving towards a triple bottom line approach, economic impacts are at the forefront of event organiser’s minds; particularly with local authorities who need to take accountability for tax payer’s money that helps to fund events. However, there is evidence to show that social impacts have a positive effect on the economy, and a key theme running throughout my study was the idea that events act as catalysts to develop communities; particularly when event-themed strategies and plans to create a legacy are put into place. Hall (1992) coined the term ‘halo effect’ in regards to the lasting effects that events can create. In terms of an events affect on traditions, advancement in technology and increasing globalisation were cited as key factors in the diminishment of authentic events. When investigating the relationship between events and the disruption of a place my primary research suggested that disruption was low, when in actual fact there is evidence to show a direct correlation between events and an increase in crime, though the heightened sense of civic pride in the Staffordshire Moorlands area is likely to have reduced perceptions about disruption. One of the main themes running throughout my study was the idea that events’ objectives can be extended to meet the objectives of various local authority departments, including health and wellbeing, urban regeneration and education, illustrating that events hold an instrumental value and contribute to community development. It would be interesting to investigate how successful or easily established vertical ties between the local state and the community can be, particularly in terms of agreeing on the social objectives of events. It is important to combine both quantitative and qualitative research to gain a deeper understanding of your subject area, and to allow you to critically compare results. Also, ensure you plan your time wisely! I personally allocated about a month to complete each of the main sections of the project, and began early to accommodate this schedule. What motivates final year events students to seek a career in the Charity Sector? My topic was about the charity sector and the events industry, looking at what motivates, if anything, final year events students to seek a career in the charity sector and find out whether events graduates are aware of the opportunities in the sector in order to motivate them to apply. The charity sector very much relies upon the organisation of events in order to raise money and awareness and this is therefore very current: Events are essential for an organisation’s fundraising programme. As an example, Cancer Research UK’s income fell by 3% (£13m) in 2010-2011 and the charity receives most of its funds from fundraising events such as Race for Life. The charity sector is currently highly competitive to enter; employers are looking for more professional, business-minded and university-educated employees because of the current high profile of the sector. It was found there are skill shortages and therefore charities find it hard to recruit correct personnel. It was also found that students studying management degrees are less inclined to work in the charitable sector and there is a lack of content in event management modules to educate on opportunities and terms of contract available. The research identified over 75% of business universities in the UK do not include the charity sector in the events management curriculum. Interestingly 87% of students said they were not seeking a career in the charity sector, however no students said they would not be motivated to enter the sector. It was found that work experience was a key motivational factor in seeking a career in the charity sector. Primary research identified opportunities in the sector are not well signposted. Research also identified that Sheffield Hallam University is putting in place a specific module dedicated to the charity sector in the events curriculum in September 2013. The study identifies the importance of the charity sector in the events industry and reflects the need for business universities to acknowledge this. Results show the majority of events students are less likely to be motivated to enter the charity sector due to lack of knowledge and awareness of the opportunities the university provides. It has been discovered that Sheffield Hallam University is putting in place a specific module; this will provide students with the knowledge they require to learn about opportunities open to them and may inspire to undertake work experience which may increase their motivation. Future research could be designed to provide views from a wider range of charities. Research can look closely at any differences between small and large organisations and how employers’ expectations of events graduates differ. I would advise students to choose a subject they feel passionate about and would enjoy researching. I would also suggest choosing a topic that may help you be successful in your future career when leaving university i.e. if you are interested in a certain sector/area choose to go down that line so that you can utilise your project and knowledge at interviews. My research project presented a critical evaluation of the importance of food quality at an event and how this influences the event experience. With the events industry growing rapidly and estimated to be worth just over £48 billion in 2020; a 34% increase from 2010, it’s important to understand what characteristics in events are necessary to achieve this success. Despite the significant contribution of catering at events, few studies of the importance of food quality have been conducted therefore I really wanted to research this further. I have a personal interest for food and the impact of food trends so by carrying such research out I was able to prepare for a career in the events catering industry. I found that the ideas and concepts surrounding the event experience helped me make sense of my research area. Experiences are events that bestow individuals to connect at a personal level and delivering an experience is more than just a service as it allows for a relationship to be built with the client. To interactively engage with the clients the design of the event is crucial. With regards to catering at an event, there are many aspects that need to be taken into account. I understood that the catering provision; ad – hoc, in house or contract, menu design and recent food trends such as sustainable, locally sourced and healthy foods all need to be implemented correctly and are key to the success of an event. The research illustrated that food quality is of high significance but is slightly over shadowed by the type of venue and price factors. It’s apparent that food quality is more important in private events like weddings and social occasions where it enhances the event experience. In addition corporate events believe that food is a necessity and the impact of healthy ‘brain food’ has resulted in attendees lasting the duration of the day better however the quality isn’t important as long as food is provided. Event managers want to provide a positive event experience and this is proved by the majority shying away from their in house catering team and booking contract caterers for larger private special occasions as they provide a higher quality of service and expertise. It is also evident that clients and consumers are increasingly getting involved in the design of their event with regard to food as they’re wanting more of a say on the menu planning; whether this be locally sourced, fresh and seasonal ingredients and are interested on this reflecting on their event content. On the basis of the findings, it is recommended that event industry professionals can gain a strategic advantage by putting more thought in to their food choices and including their clients in these choices. When researching, I found that events are meaningful in today’s environment and have strong connections to religion, sport, culture, community, business and political strategic objectives so I think it would be interesting for students to look at maybe the connection between religion and events or cultural events. I would recommend students to choose a subject that they are really interested in and would enjoy researching in depth. You may also like to explore the idea of researching an area in which you want to go into after university that is linked with the events industry. I would also recommend that you should consider doing something different and don’t play it too safe, the support you receive from your tutors is amazing and if you remain organised and start early then you can produce a really good piece of work that stands out and gets you the high marks. An investigation to evaluate progressive and pioneering experiential marketing approaches within private sector organisations. From a previous assignment, I’d learnt a lot about the experiential marketing activity within a number of organisations. However, I came to realise that the majority of these case studies were based on the activity of blue chip companies, giving the impression that this is promotional tactic which requires extensive budget. I was intrigued to investigate how such a prominent strategy was being exercised in a range of practices, both big and small. I felt that it was important to research a topic that is set to be the future. I discovered the concept of ‘c-to-c’, (customer to customer communication). I was always aware that one of the key motivations behind the investment in events was the word of mouth in which they can generate, but I hadn’t realised that this was the particular terminology for it. In conjunction with this, I also discovered how valuable events can be when operating as part of an integrated campaign. I discovered that with the development of certain platforms, many of these campaigns are now being formed as part of an end to end sales process, opposed to a brand just simply holding one off events. At the core of any business, both big and small, employees are now looking to form a relationship with their consumers as companies are now profiting on emotional attachment, whether this be a local restaurant or accountancy firms. Experiential marketing therefore isn’t just a fancy concept which only brand leaders such as Coca Cola can reap the benefits of, this is an activity that is being exercised across a whole range of industries. Social media is set to become a crucial ingredient within the events industry. Although it is already of great importance, it was found that is something mainly being utilised within the city areas. I’ve learnt that as time goes on, this will change as more and more companies are demonstrating its effectiveness in a range of different areas; particularly for increasing event attendance, event evaluation and also encouraging attendees to engage in c-to-c interactions pre, during and post event. It would interesting for future students to investigate any further uses that this specific platform may have in this sector of the marketing industry, or to find out just how many event managers are currently aware of the value that social media can have in this particular field. – Pick a topic in which you are confident you will be able to gather valuable research. Whilst it’s great to be ambitious, it’s equally important to remain realistic. Think long and hard about the people which may be available to you for your primary data. I was aware that I had contacts for this particular topic area (people that I had worked for in the past and other contacts which I gained through relatives), which assured me that the interviews I conducted would be of worth to my findings. – Make the most of the help that is available to you. Without the support of my brilliant tutor Phil Crowther, this grade simply wouldn’t have been possible. I never hesitated to contact him if I was stuck with any of the sections or just needed that little bit of extra motivation; you don’t have to struggle alone. A Case Study Evaluation: Can a Local Authority Events Strategy improve the Social and Economic Wellbeing of a City? I had completed my placement year at Coventry City Council as an Event Officer and had a great year with lots of experience completely unique from anything I had done before and saw a big difference between private and public sector events. I am really interested in strategy and how events are created to serve a purpose or reach an objective and at my time at the Local Authority, I noticed that there were no formal objectives or structure to the events created. It was very ad hoc and transient with no real evaluation. I wanted to understand what the Local Authority saw as a priority and how they worked and then I made recommendations, which have actually been used to help develop a new Events Strategy and Evaluation Tools. 2. In your literature review, what particular ideas and concepts did you find that helped you make sense of your research area? There were many journal articles and papers surrounding Local Authorities, Events and Justification, so this helped me read around the whole subject. Although, throughout my research I noticed that there was no comparative study to mine and that there were vast amounts of information and research on economic impacts but nowhere near as much depth about social impacts. This was interesting because it made me more determined to try and find social impacts within the events I was researching and with a larger word count and more time, I believe I could have extended my research to members of the public. It was important to my project that my findings were as accurate as possible. I chose to use semi-structured interviews so that I could alter my questions depending on my interview. I found this interesting because as I interviewed different members of the council it was intriguing to realise that some of their opinions significantly varied and that within events and creating a strategy, they all needed to be on the same page so that the vision was consistent and effective. 4. What are the main things you learned about your topic area and what would be interesting for future students to investigate? My topic area showed me that Local Authorities struggle to really justify their events with regards to budget and social impacts, however in the context of Coventry, many of its residents saw the larger events as a necessity rather than a luxury. So many of the efforts of the council events team were appreciated but there needed to be more structure and evaluation in order to improve. If I were able to continue the research I would conduct more primary research and include socially active members of the public, in order to gauge how events were received. 5. What advice would you offer to future students completing this module / assignment? Choose something that REALLY interests you. It is the largest piece of work you do and if you enjoy the subject it will almost write itself. If you don’t connect with what you are writing, you will find it a real chore! Make sure the subject has realistic primary research opportunities and remember that if you really work hard at this piece of work it could create networking opportunities. My dissertation discussed sponsorship of events. Assessing sponsorship awareness, impact on brand image and also taking a look at whether the recession has affected sponsorship. I used the British Fashion Councils event; London Fashion Week and its sponsors such as; Vodafone as a case study. I find it interesting how different brands and events can merge and work together to create mutually beneficial partnerships, especially considering the different goals companies and brands will have. Fashion events have always been a potential career path, so I enjoyed researching for my case study. In my LR I discussed a few different areas such as; Sponsorship Industry Development, Changes in Government Legislation, the Importance of Sponsorship, Sponsorship Relationships and Marketing, Ambush Marketing, Brand, the Importance of Brand, Attendees Recognition and the Future of Sponsorships; researching the effects from the recession, the integration with CSR strategies and what the focus must be for the future. A main concept that ran throughout the LR was the idea of brand congruence and continuity, an event and its sponsors will not work if they have opposite moral and ethical standpoints. Sponsorship congruence is essential as this increases audience recognition and recall as well as building consumer loyalty. Approximately 40% of respondents were unable to identify more than two sponsors of London Fashion Week and 26% only being able to name three out of the fourteen sponsors. Vodafone, London Fashion Weeks long-term Principle Sponsor, was recalled 11% more frequently than any other sponsor, following their heavy promotion throughout the event. 27% of respondents stated their decision to attend an event would be affected by the reputation of the company, confirming the importance of integrating the CSR with sponsorship objectives. 36% of respondents agreed they would not attend an event if sponsors had bad reputations and the BFC confirmed they would not work with particular brands due to moral and ethical reasons, as relationships between brands and events could reflect consumer’s judgments onto the BFC and LFW. The main thing I learnt was the importance of sponsorship, it is used in many organisations promotional activities, it is effectively used to achieve marketing and corporate communications objectives. It is a distinct resource, which offers a sustainable competitive advantage. However to achieve this, its imperative for their to be sponsorship and brand congruence. A believable relationship needs to be formed int he consumer’s memory. Future students could investigate further into the comparisons between sponsorship and other forms of advertising, the evaluation of sponsorship and determining its real worth or specific research into the effect sponsorship has on attendance figures. My advice would be to choose a topic thats of a real interest to you, the amount of time spent researching makes it vital to chose a topic which is of interest and makes you want to continue digging for information. Set out a timeline for when to have sections completed and stick to it! Get the tutor to read over and give feedback; they’re marking it, so listen to them over anyone else. And, just get it done. Its actually not the worst piece of work assigned over the year and it counts for a whole module. How does Facebook influence event promotion. My research topic was social media and how the development of social network sites has influences on the promotion of an event. More precisely, the main topic focused on Facebook, which is the biggest and most popular social network site. I chose this topic because Facebook is everywhere. It has changed the way people communicate and helps people to access information easier. Moreover, it is used by many organizations for marketing communication purposes. It has also become a channel that connects information produced by business operators and consumers. Promotion with Facebook could be “low cost, high selectivity, immediacy and interactive capabilities”. Therefore, I decided to focus on this topic and find out how it helps with event promotion. The aim of this study is to gain an understanding of how ‘Facebook’ influences the promotion of an event. In order to achieve this, I decided to focus on both event planners and attendees. I needed to find out people’s ideas about using Facebook to organise an event and identify how Facebook influences people’s choice of event. Therefore, I used several previous relevant studies to find the benefits of Facebook and did my research on people’s perceptions of Facebook advertisement. The survey was conducted by using a method of questionnaire to investigate the popularity of Facebook, the usage of Facebook, the activities people use Facebook for and their choices influenced by Facebook advertisement. A sample of 50 respondents, among which 29 male and 21 female was interviewed in Sheffield Hallam City campus. It is interesting to find that all the respondents have Facebook and all of them have been aware of the benefits of Facebook. The majority of them feel Facebook provides useful information about new events. They also think Facebook is a good tool when they organise their small event. However, some people find it hard to choose an event on Facebook due to too much advertisement. Through this study, I have learnt how to do research including designing a questionnaire, handing out my questionnaire, analysing the results and evaluating. In addition, for the result, I can make sure that Facebook provides an effective platform for marketing, which is my first expectation. For future topics, students can not only focus on Facebook, but also make a comparison between Facebook with other social network sites such as Twitter. As for me, the point is to choose a topic which you are interested in firstly. Interest can drive you to read more and find out more ideas. Then, you can outline the things you want to investigate with bullet points. More importantly, reading a large number of journal articles and literature can help you make your topic clearer.